This wonderful Tessalla quilt is made using 2 1/2" strips (not just any strips). The fabulous Jelly Roll from V and Co. The Ombre Jelly Roll! The Gelato Ombre Strip Set from Maywood Studio! 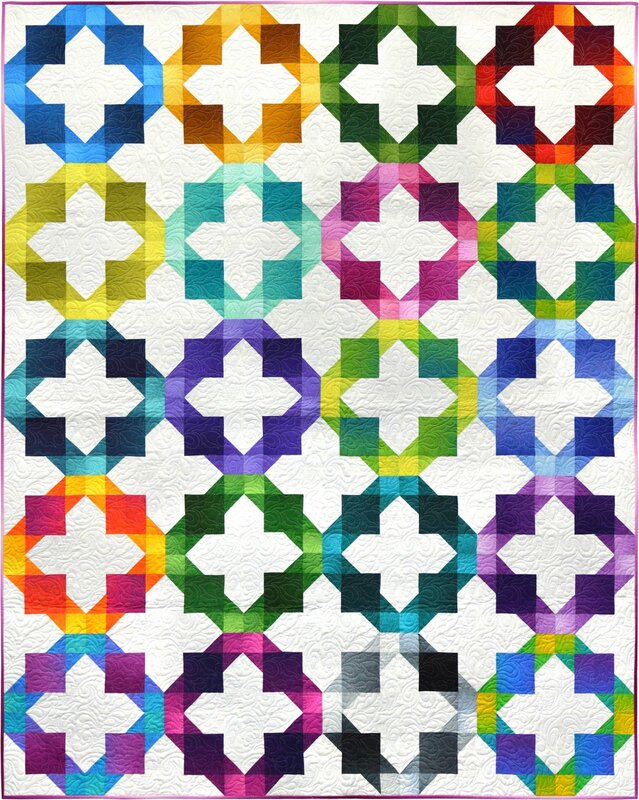 The ombre gives this quilt that wonderful illuminating effect. You will need to make half square triangles from the 2 1/2" strips. The template is included in the pattern.